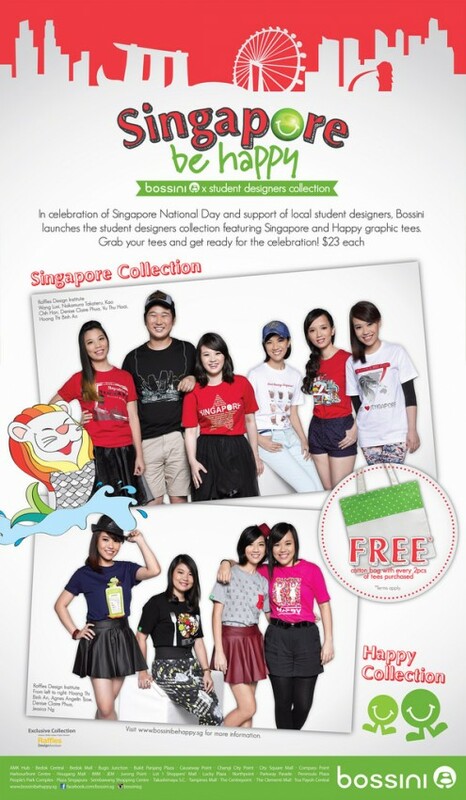 Singapore – In celebration of Singapore’s National Day and in support of young budding designers, Bossini launched the “Singapore and Be Happy Graphic T-shirt Collections” in July 2014. 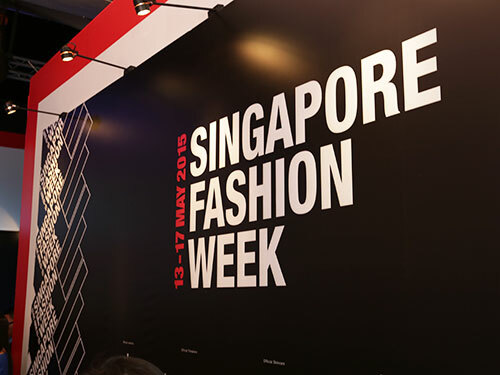 10 Raffles Designers’ self-designed T-shirts were sold in all Bossini outlets. 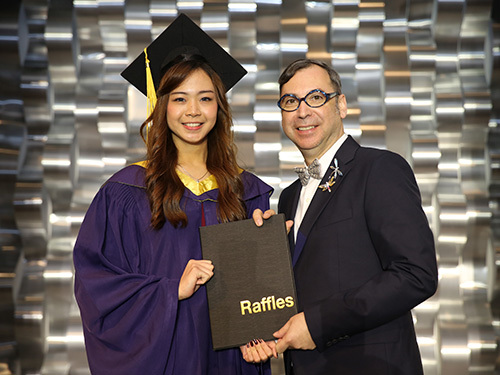 Prior to the launch, 10 Raffles Designers did a special photo-shoot with their self-designed t-shirts at Raffles Singapore’s campus to prepare for a feature in TODAY newspaper, 8 Days and i-Weekly Magazine. 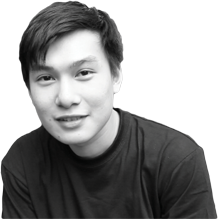 10 of them who participated in the Bossini’s Design A Tee Competition last year were Adela Andrea Tannara, Agnes Angelin Tjioe, Denise Claire Phua Mun-Yi, Hoang Thi Binh An, Jessica Poliman Ng, Kao Chih Han, Nakamura Takateru, Vu Thu Hoai, Wang Luxi, and Wu Haoran. 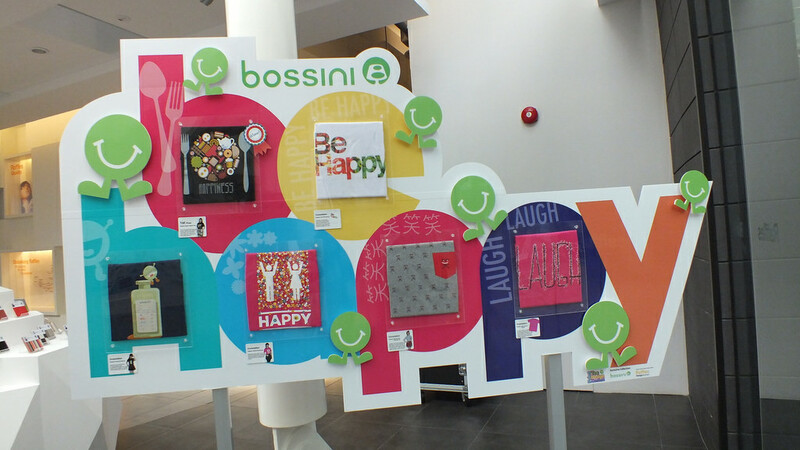 Agnes and Denise were the grand winners who did a one-week industrial attachment with Bossini Hong Kong in April 2014. 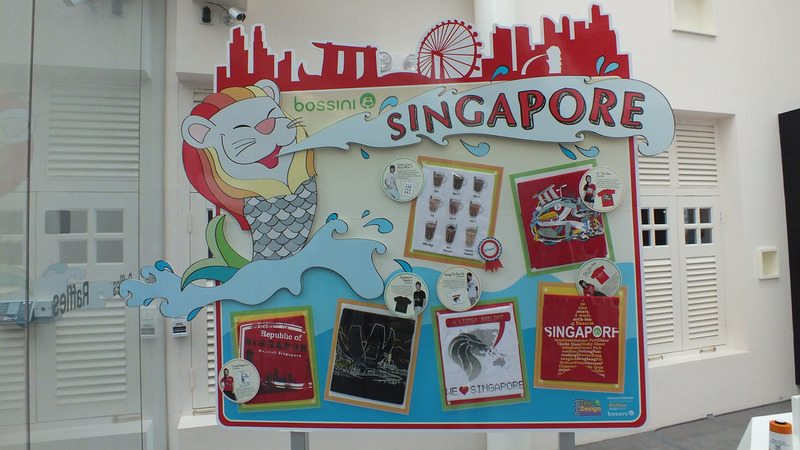 Raffles Singapore also showcased the self-designed t-shirts in a dedicated space at the Raffles concierge.